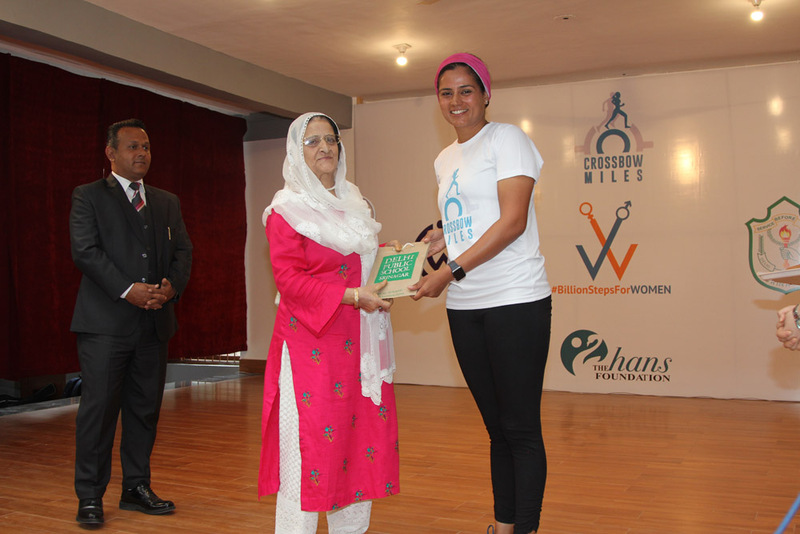 DPS Srinagar held a special felicitation ceremony for Ms. Srishti Bakshi for completing her 3800 km journey towards woman empowerment. 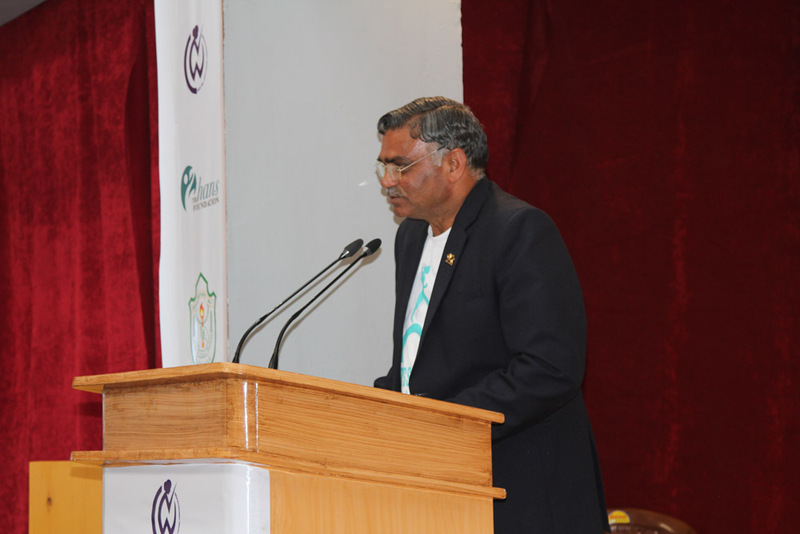 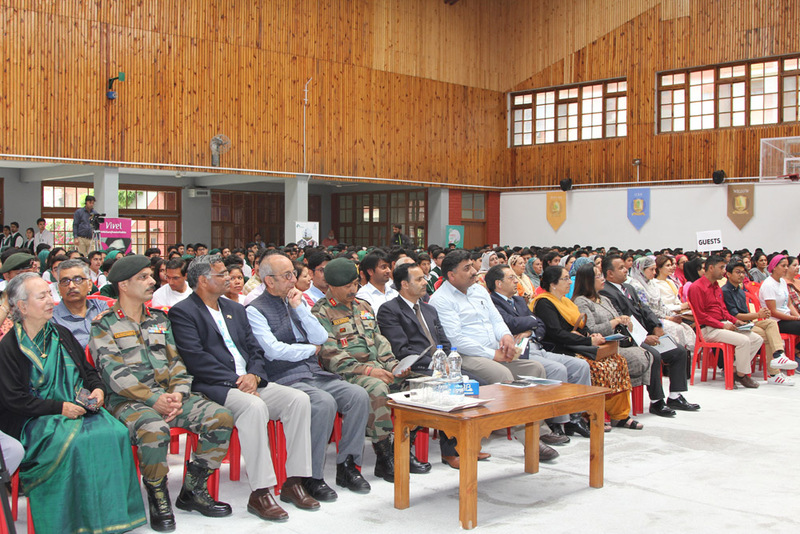 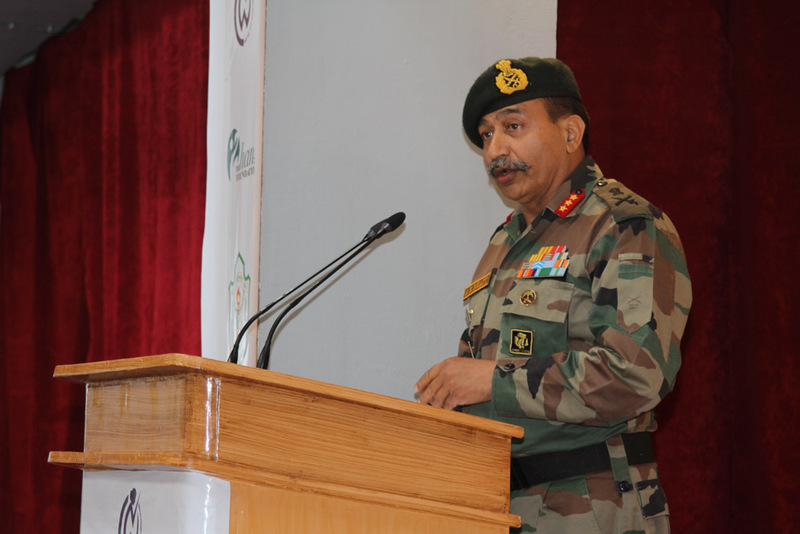 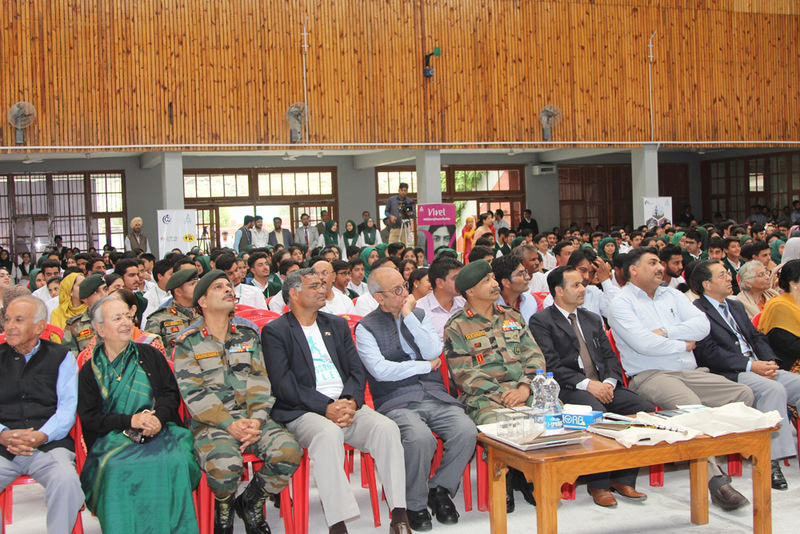 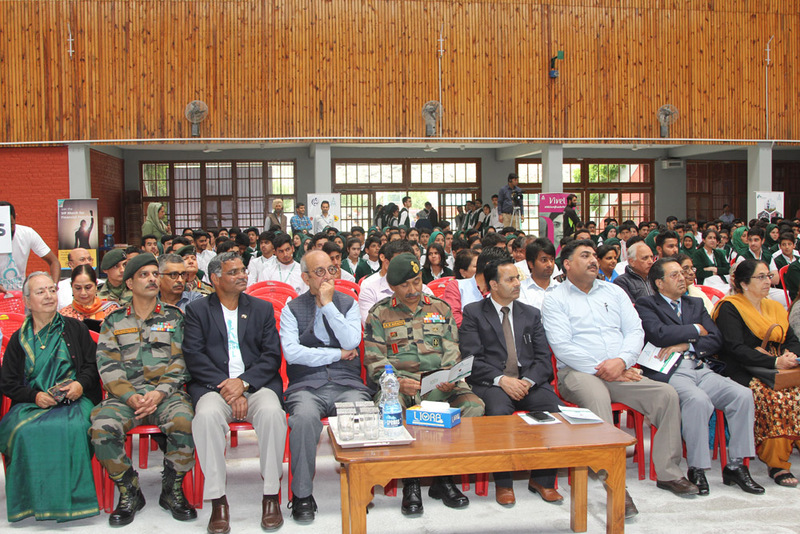 The ceremony was attended by various dignitaries including the chief guest GOC Lt. Gen A.K Bhat, Guest of honour Mr. Waheed ur Rahman Parra Secretary JKSSC. 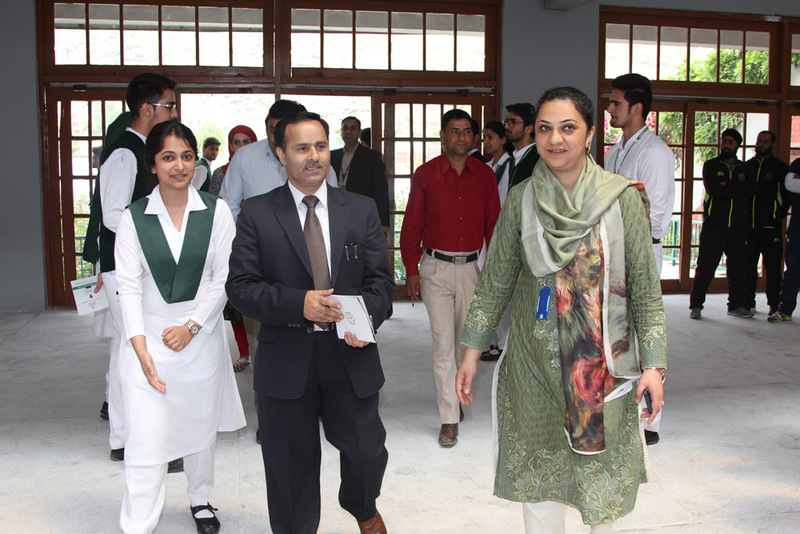 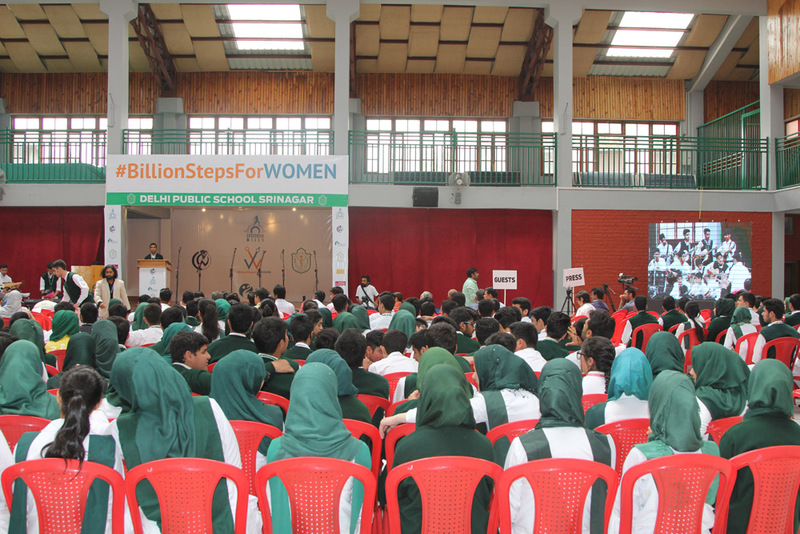 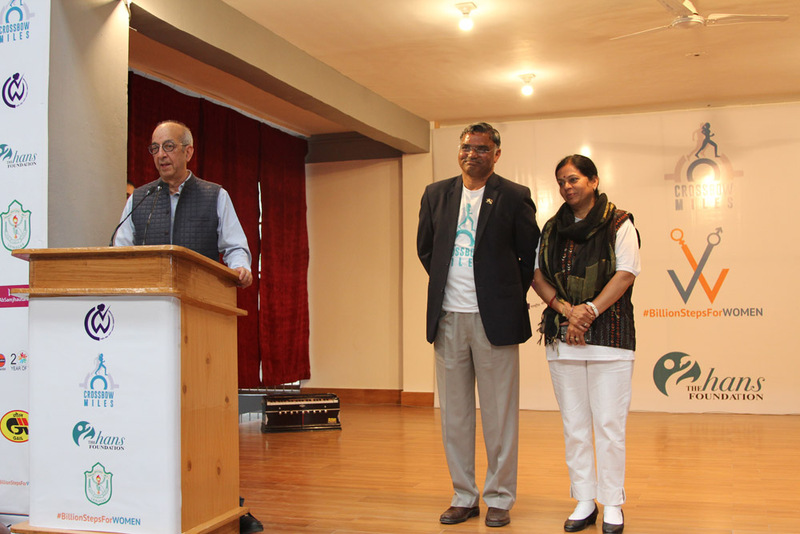 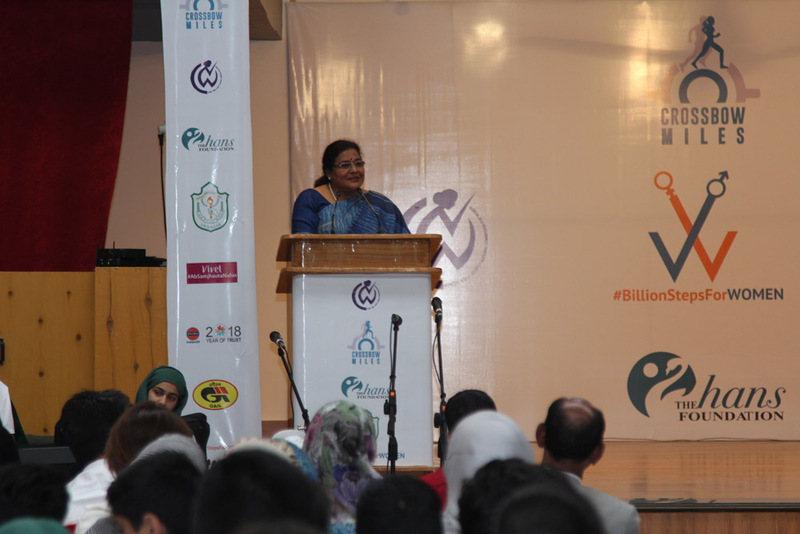 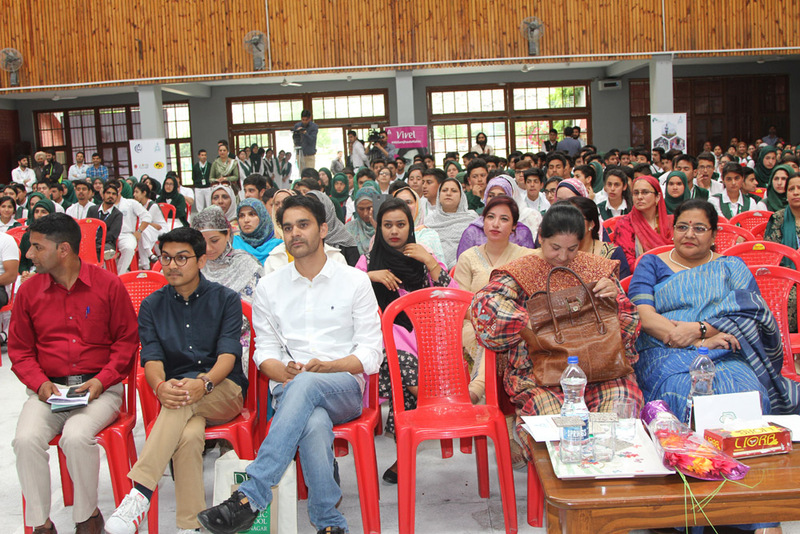 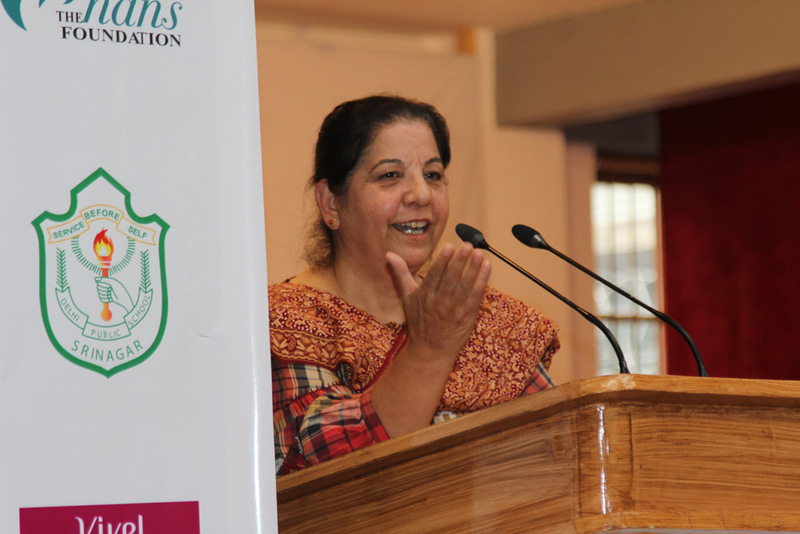 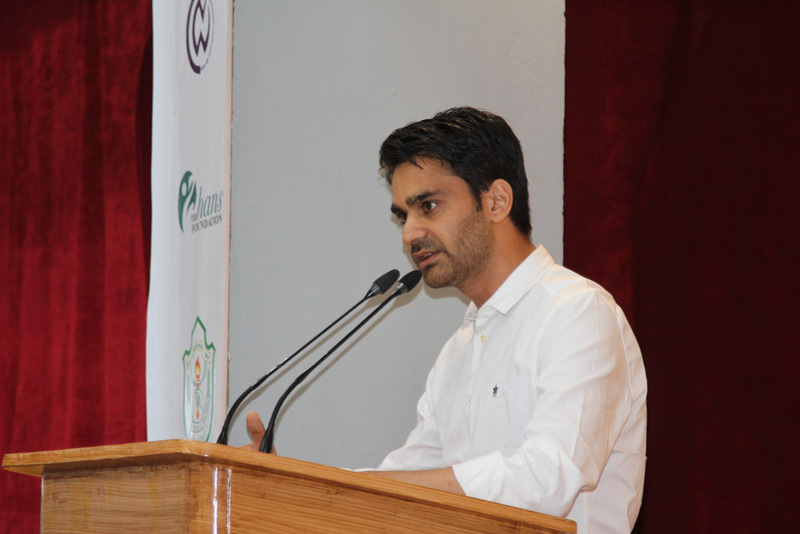 Other guests included Mr. G N Itoo, Director Education Kashmir, Dr Bedi – Secretary National Commission for Women, Ms. Nayeema Mahjoor- Chairperson Women’s Commission J & K, Ms. Syed Gulzara Masoodi, Member Women’s Commission Srinagar, Retd. 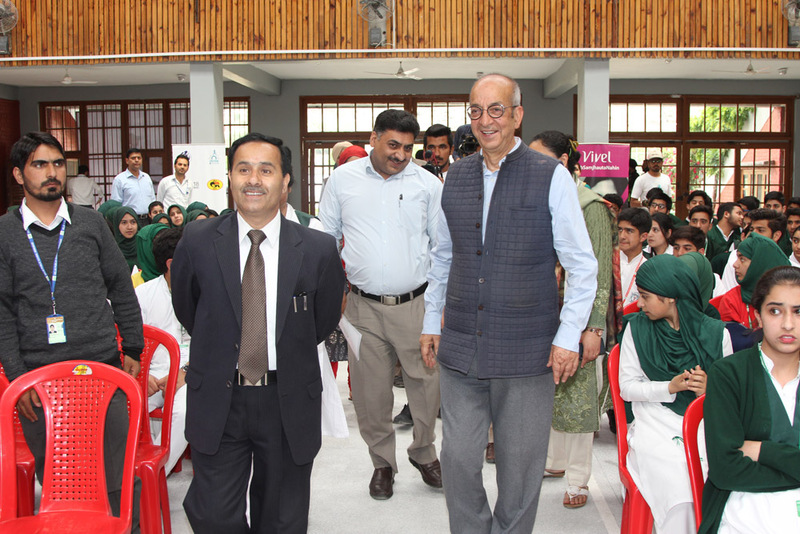 Justice Mr. Jan. 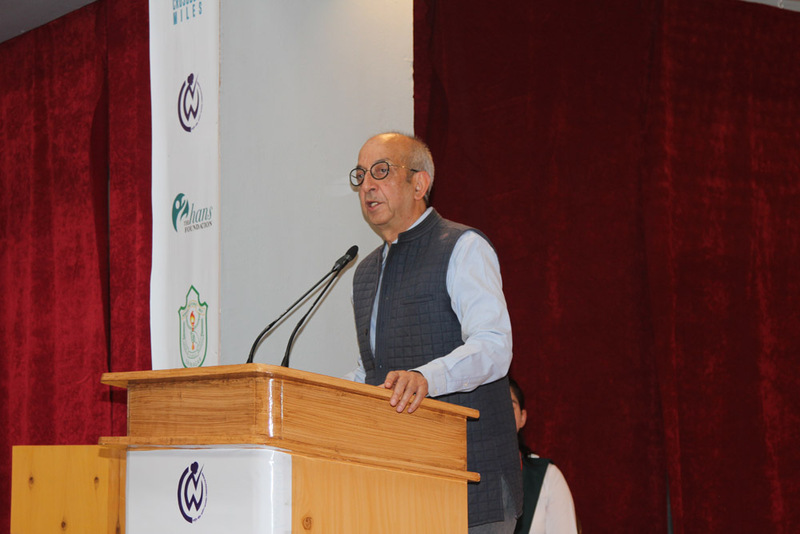 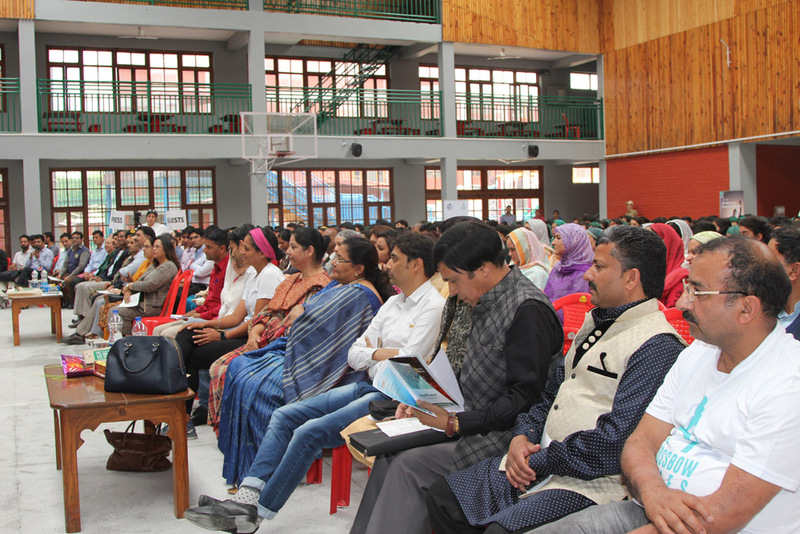 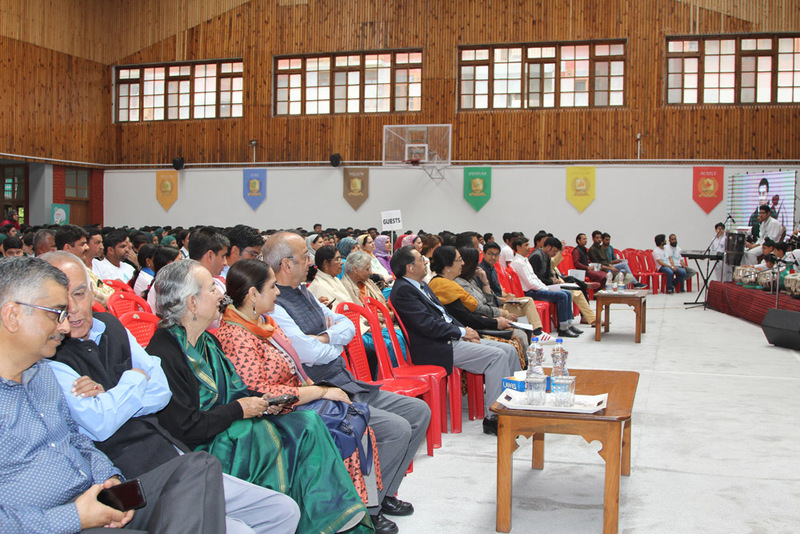 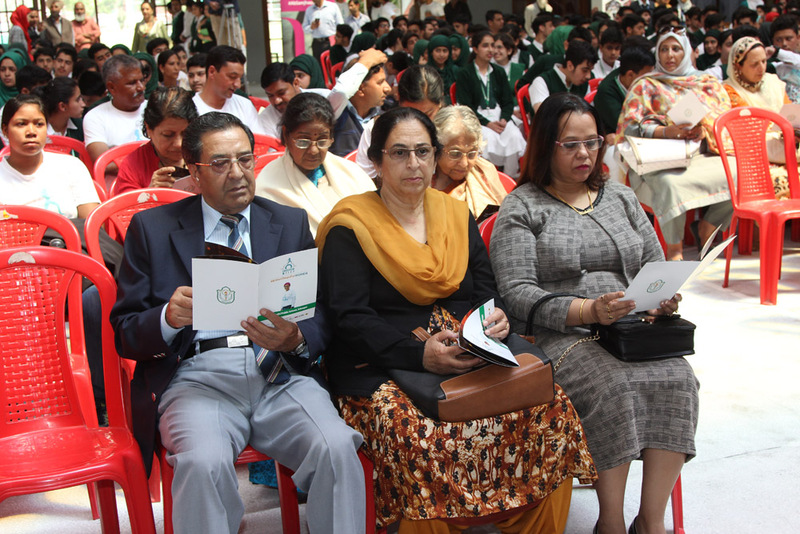 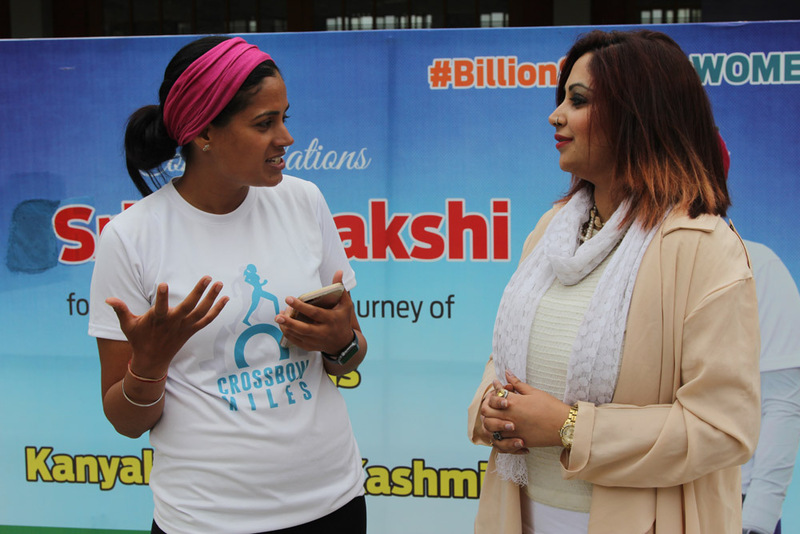 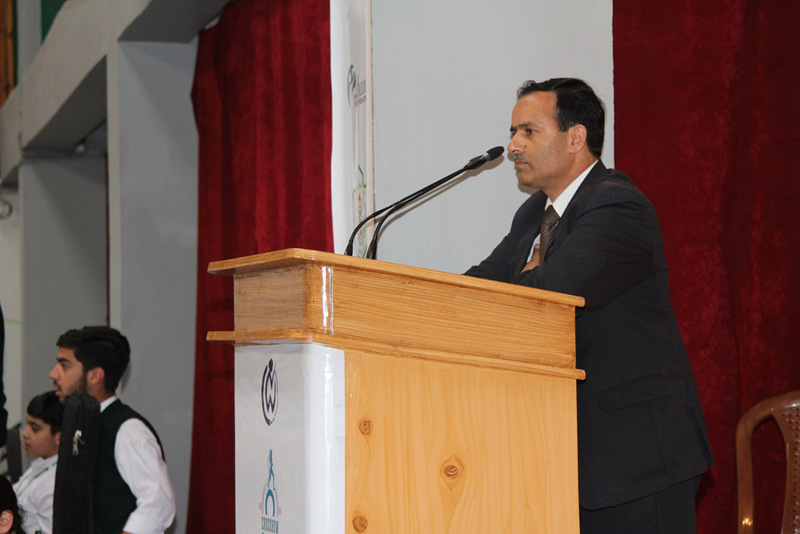 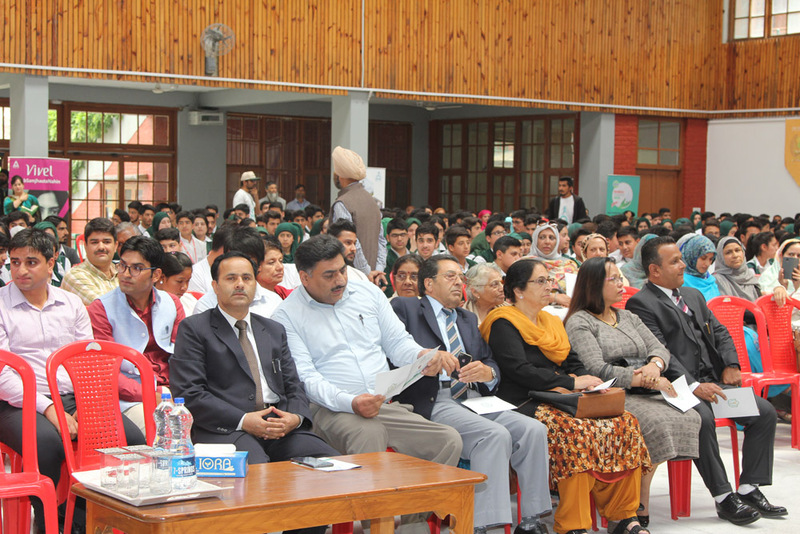 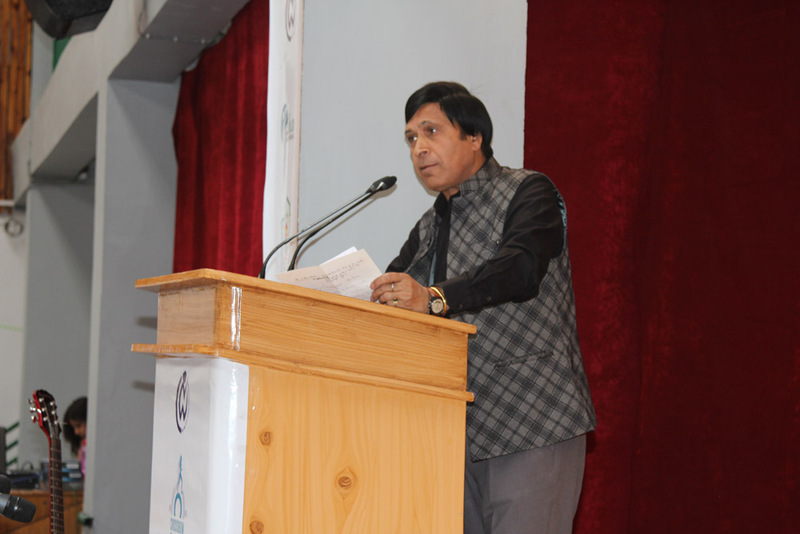 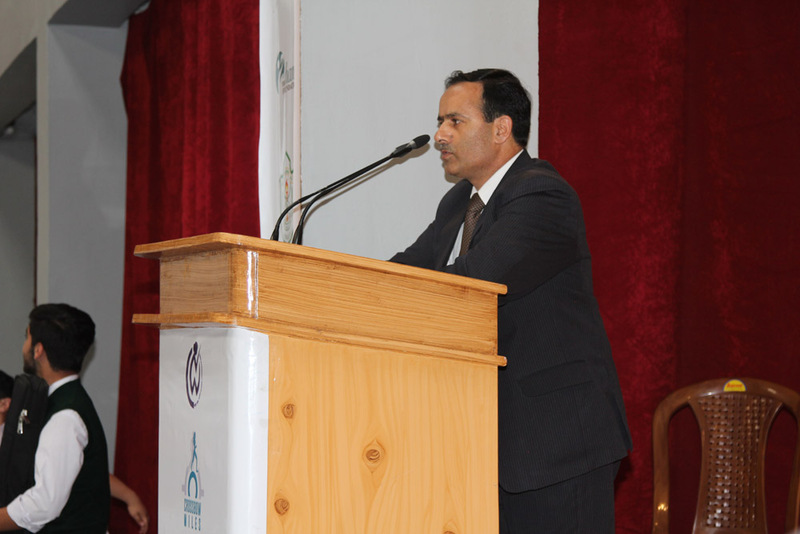 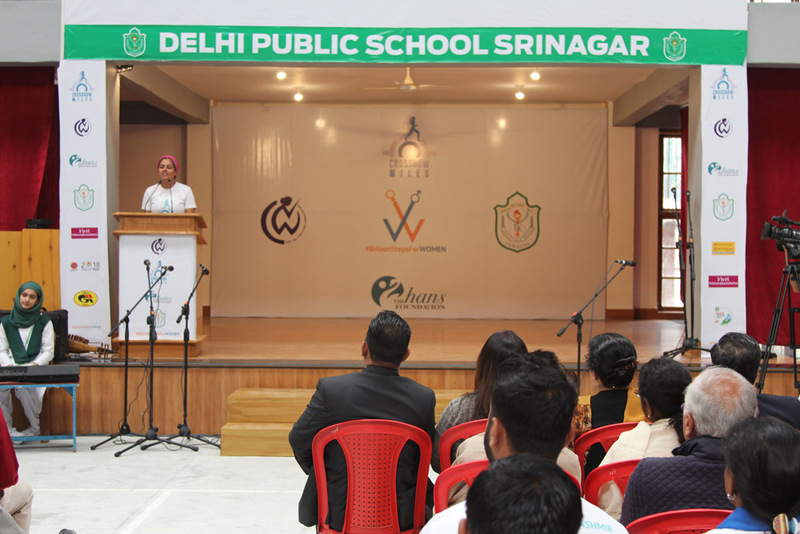 Besides these fifteen principals of various schools in the valley, Pro Vice Chairman Mr. Vijay Dhar, Principal DPS Srinagar Alistiar R A Freese, family members of Ms. Srishti Bakshi, and team members of Crossbow Miles were also present. 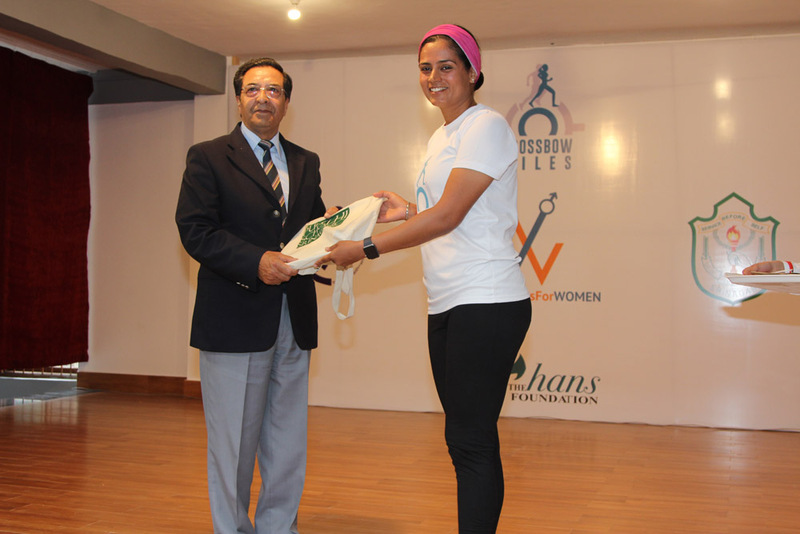 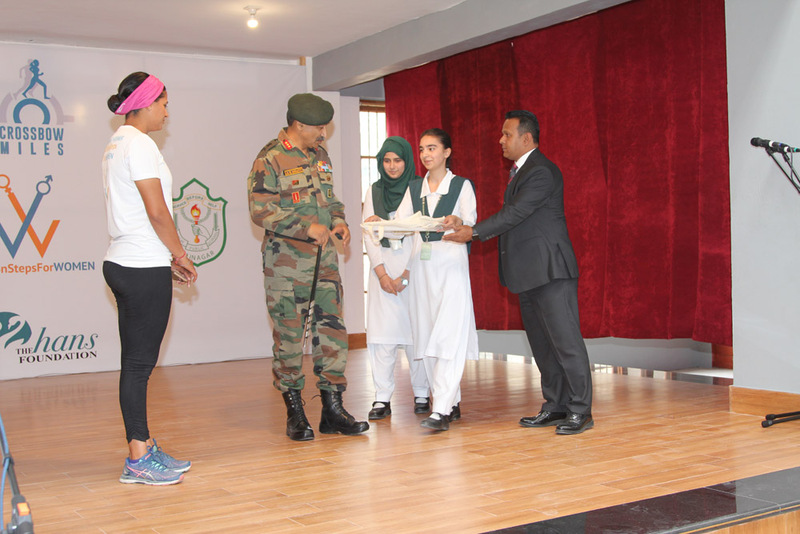 Ms Srishti was felicitated by Chief Guest GOC Lt. Gen A.K Bhat who complimented her for her endeavor. 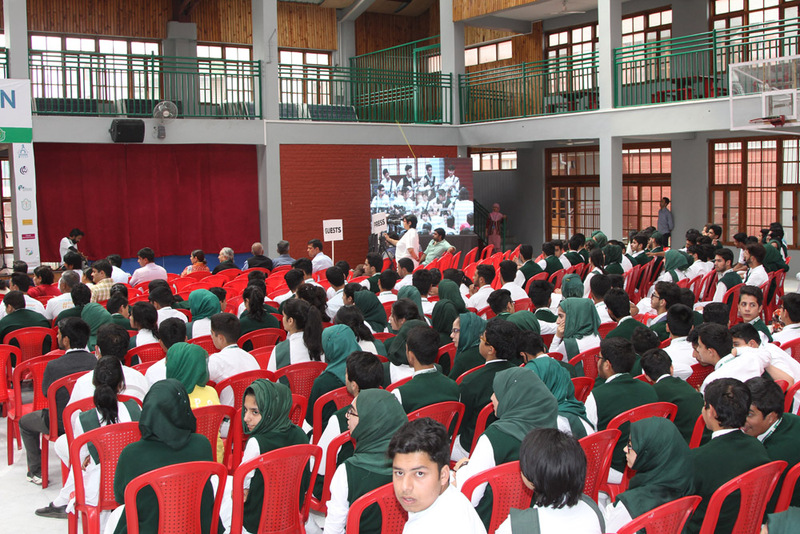 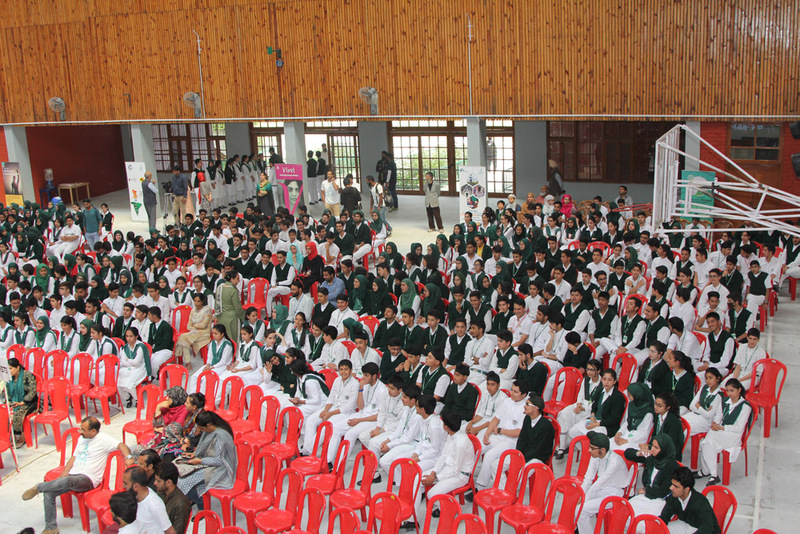 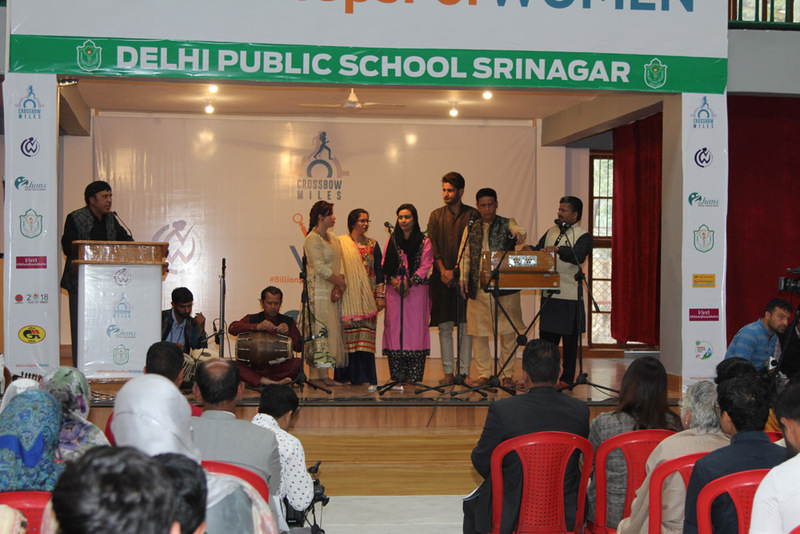 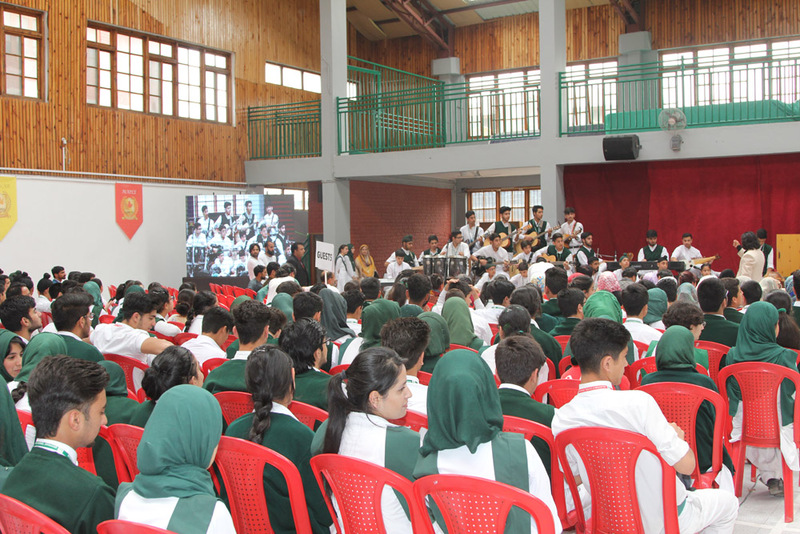 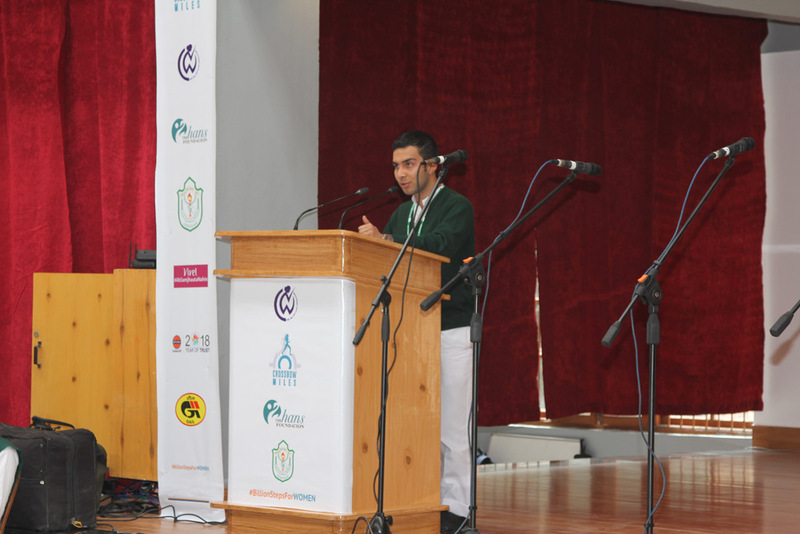 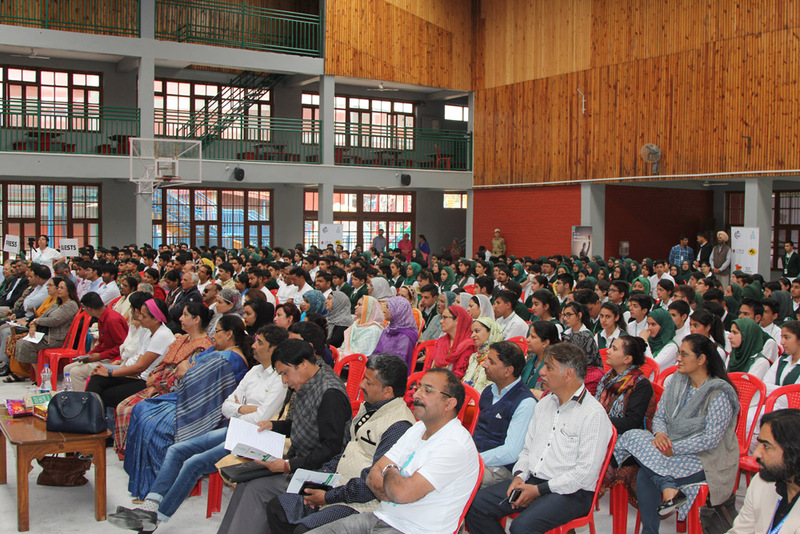 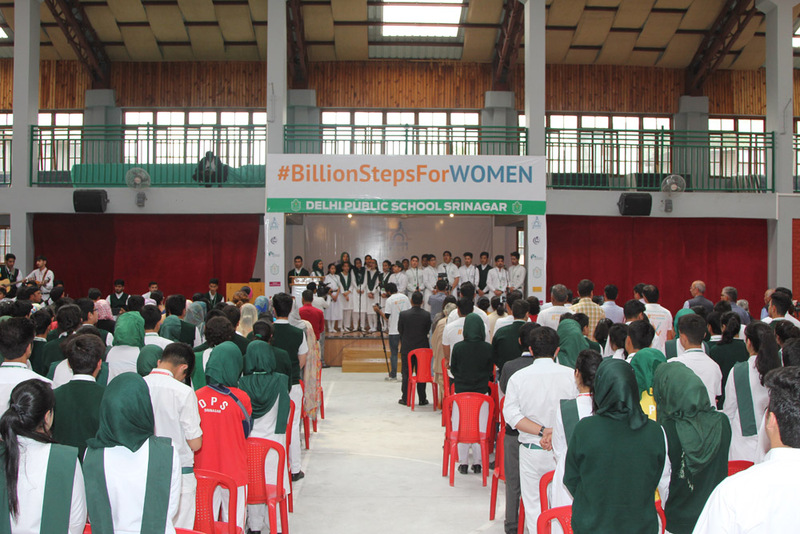 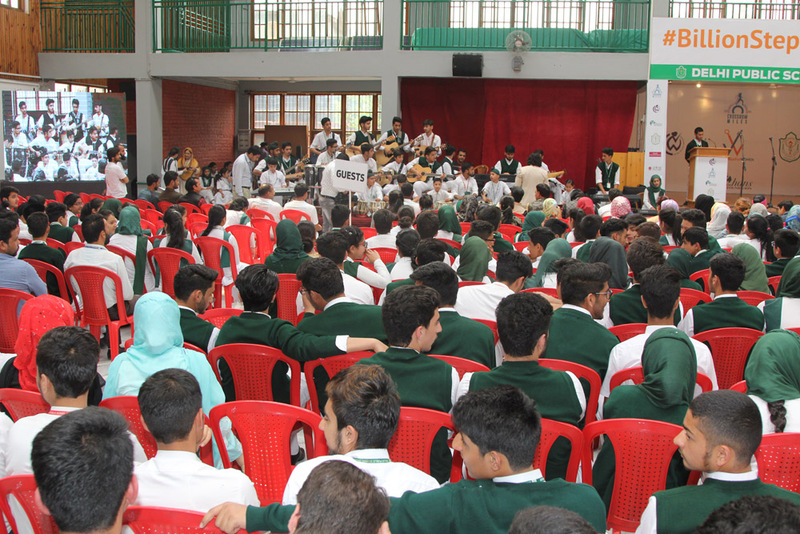 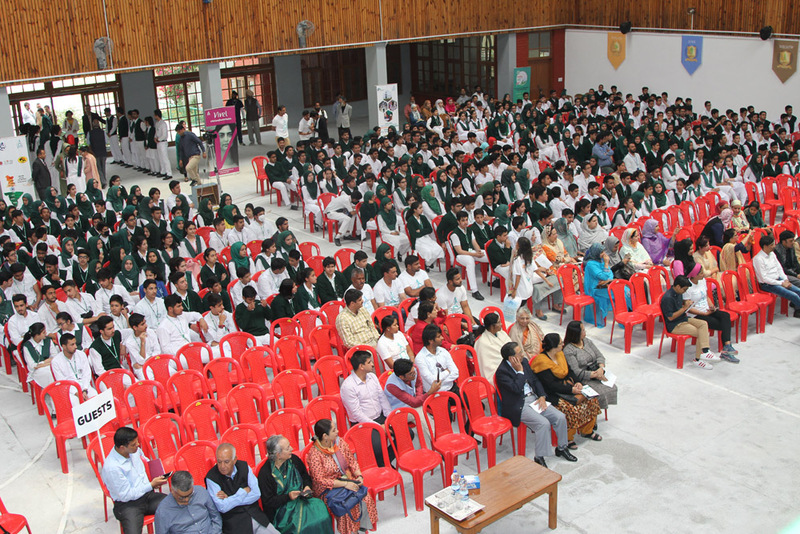 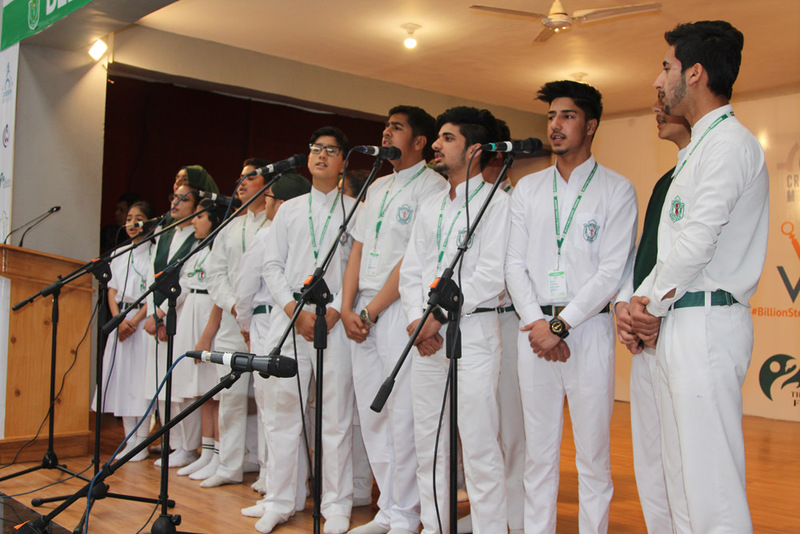 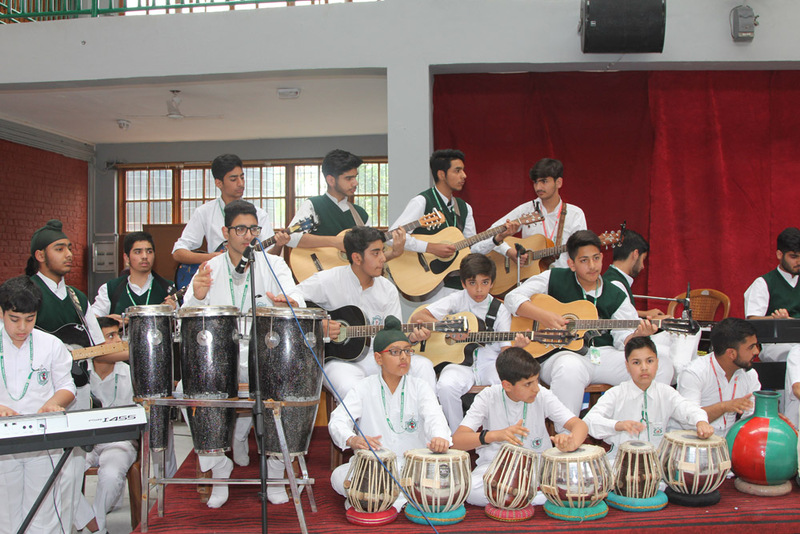 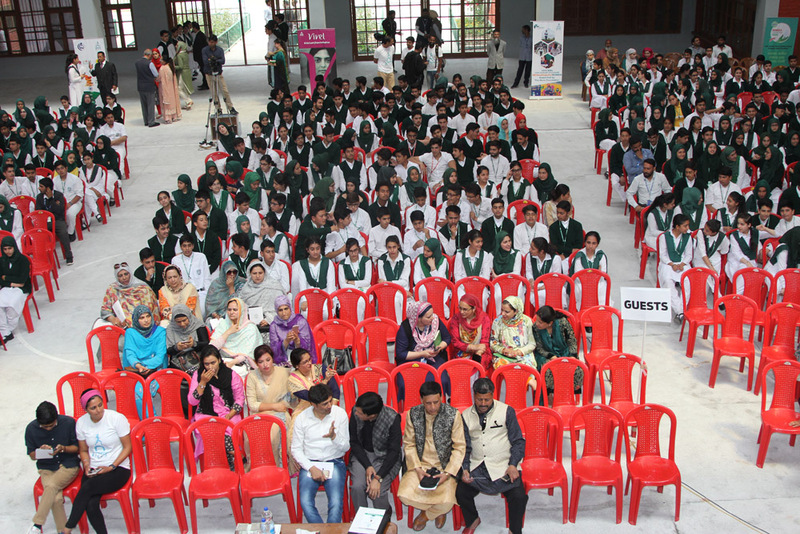 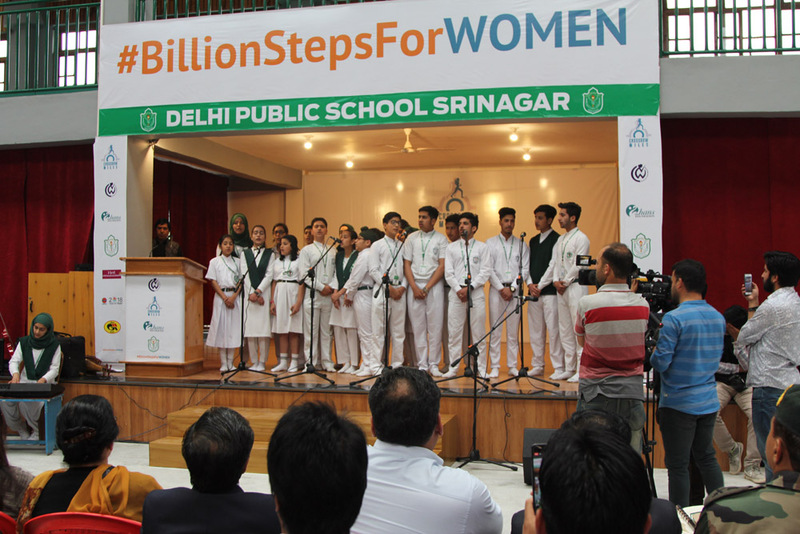 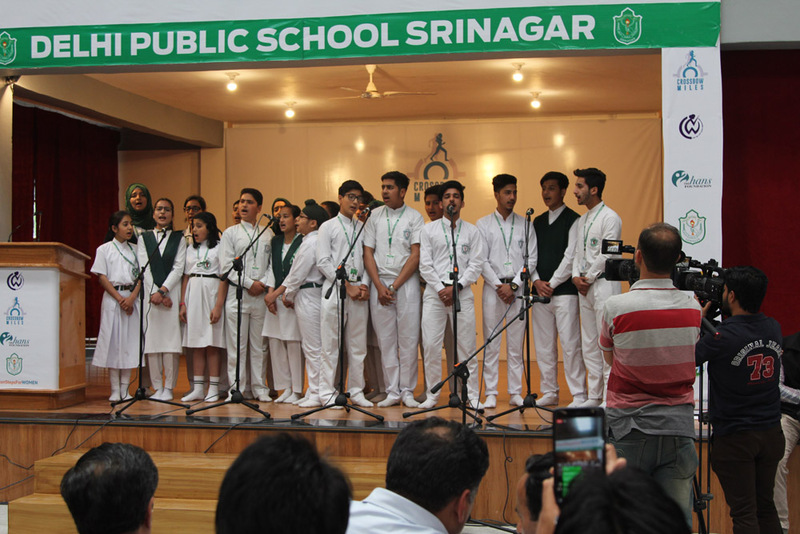 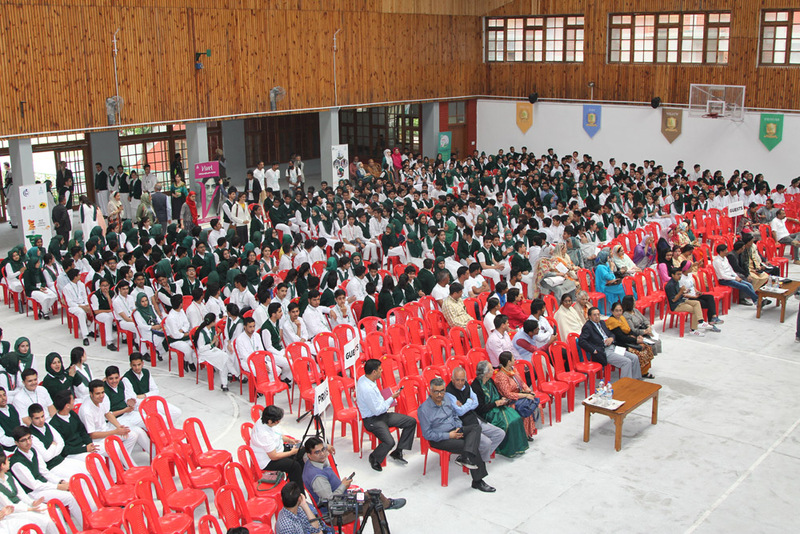 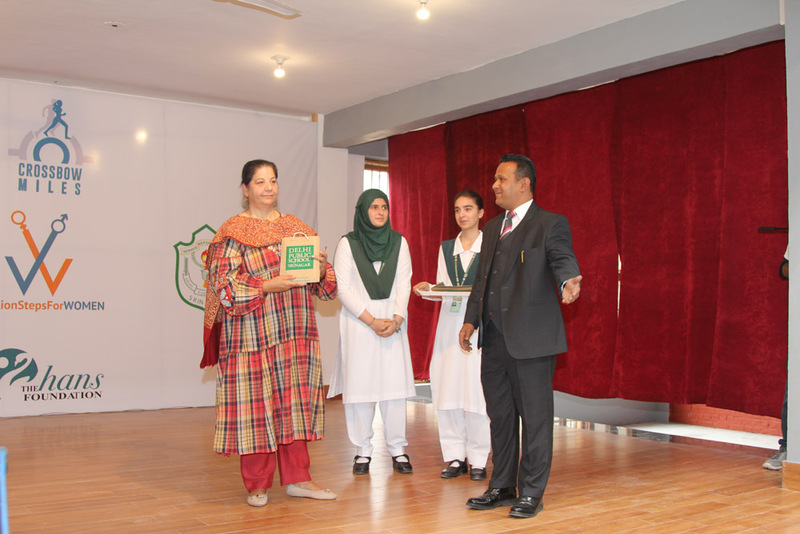 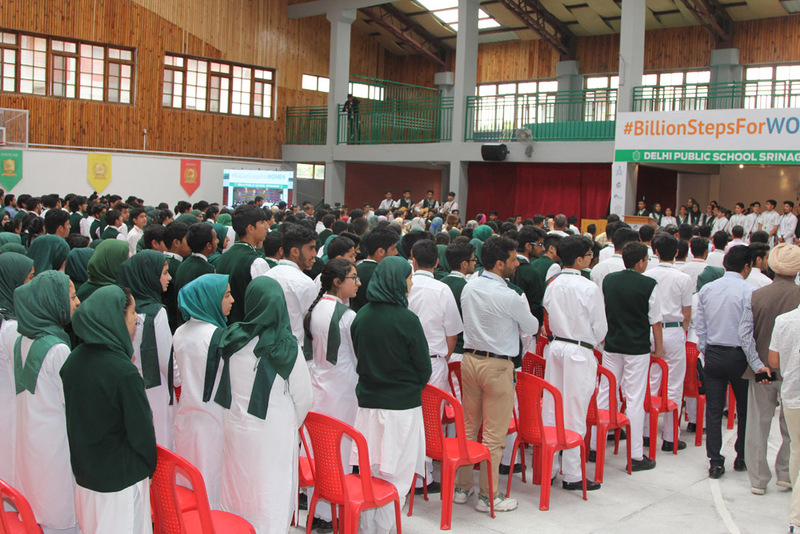 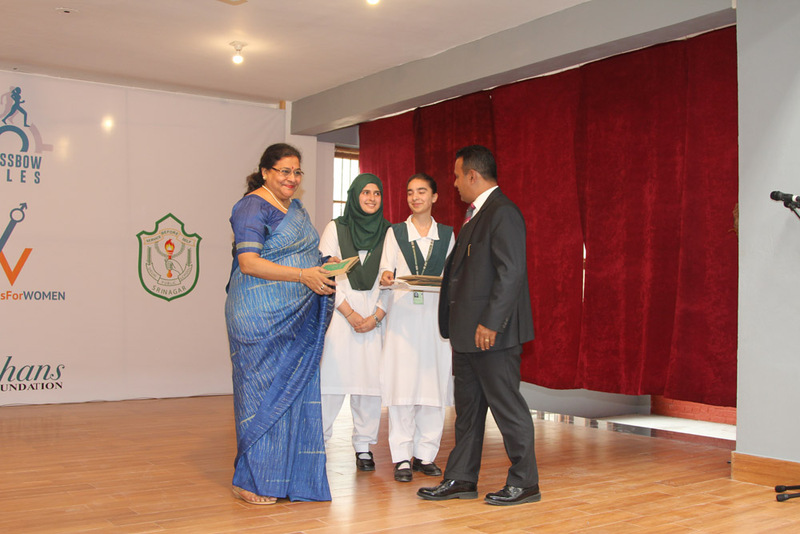 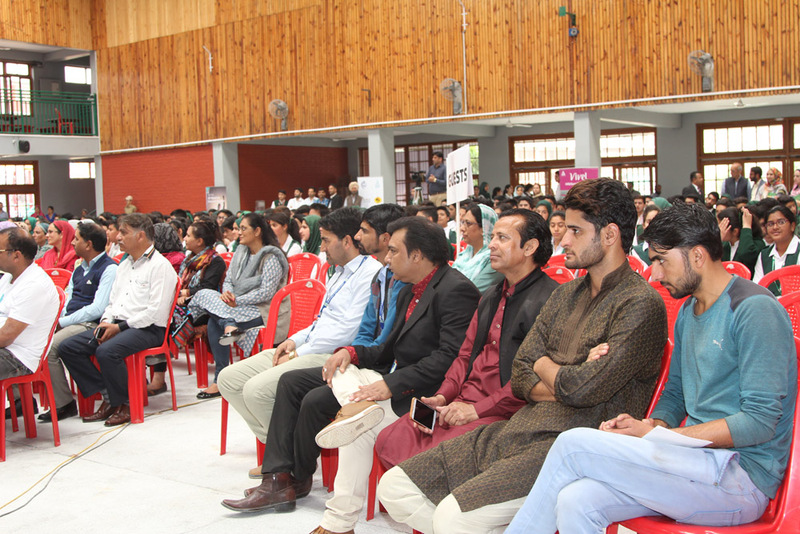 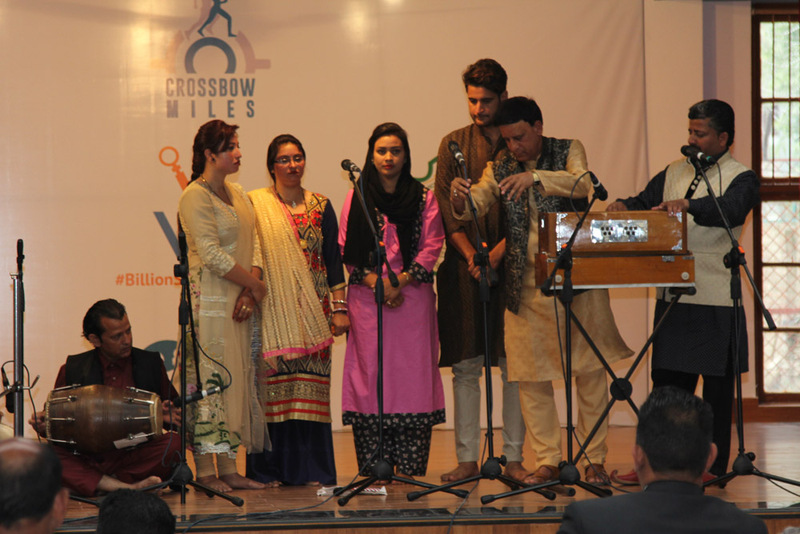 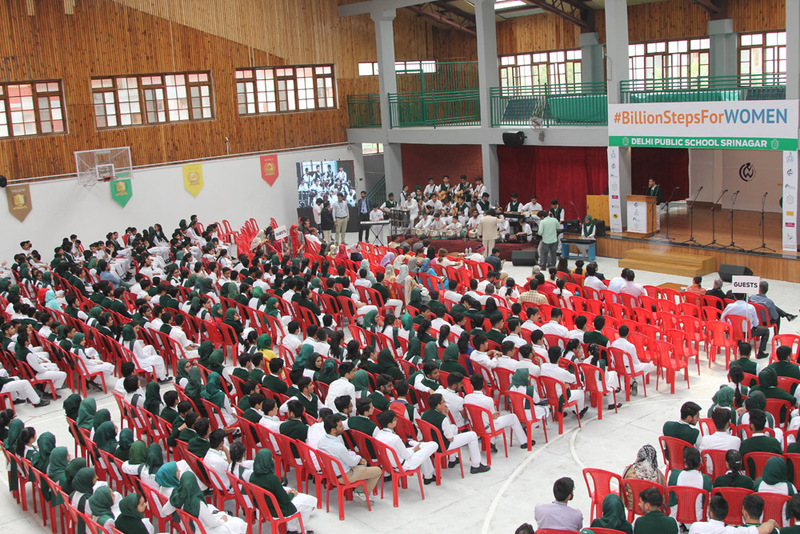 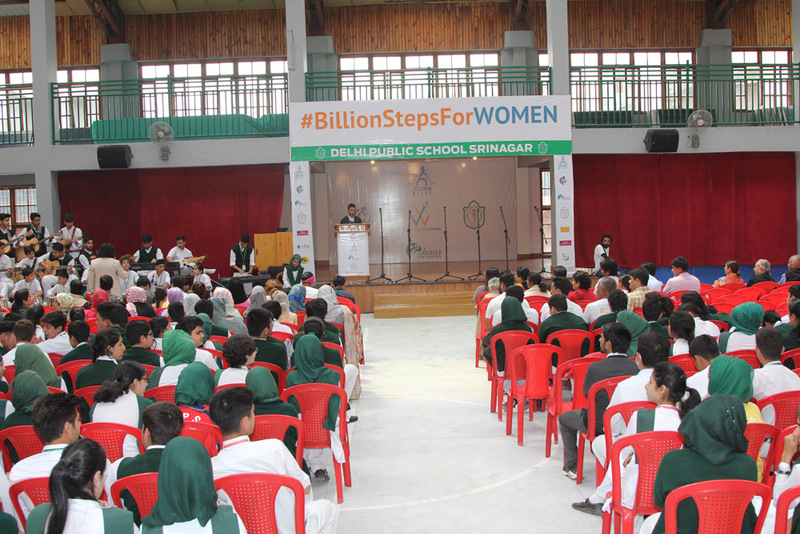 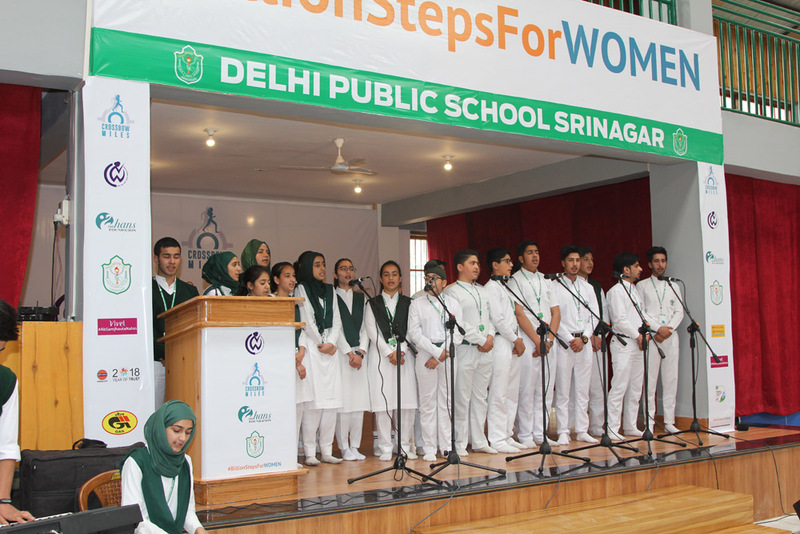 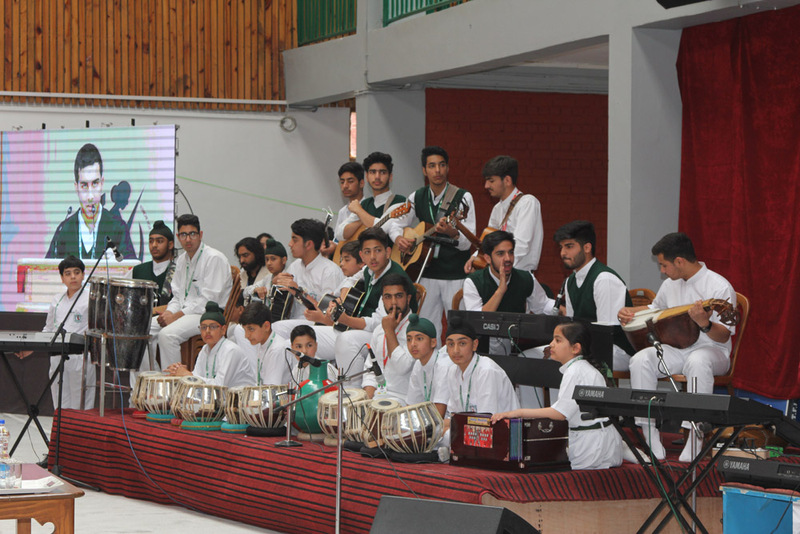 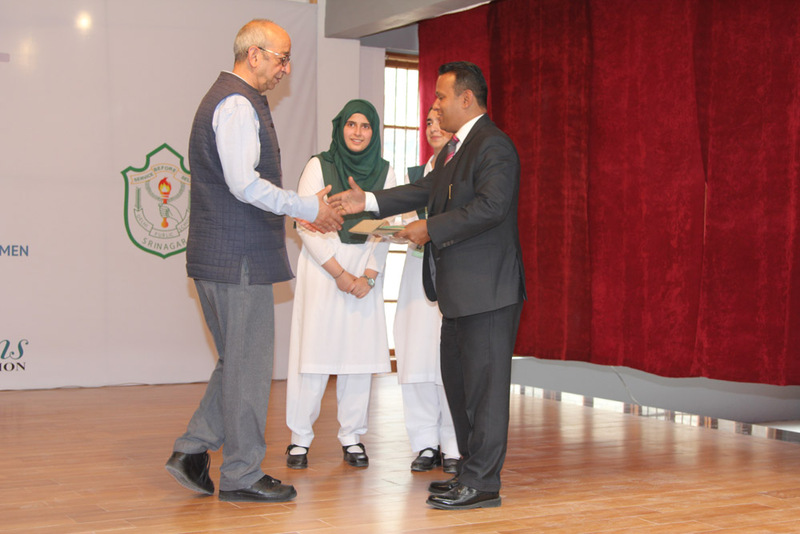 The event was enlivened by performances of DPS Srinagar students and a troupe of singers from cultural academy who presented two songs highlighting the need for equal treatment to both boys and girls. 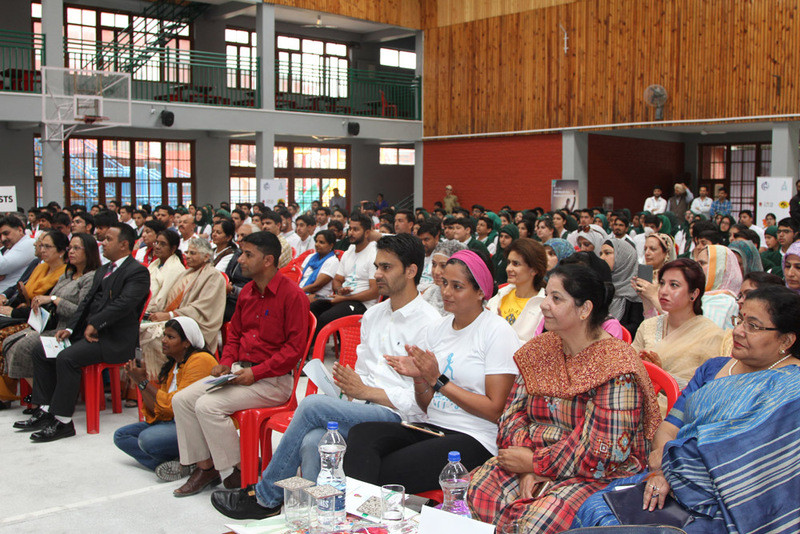 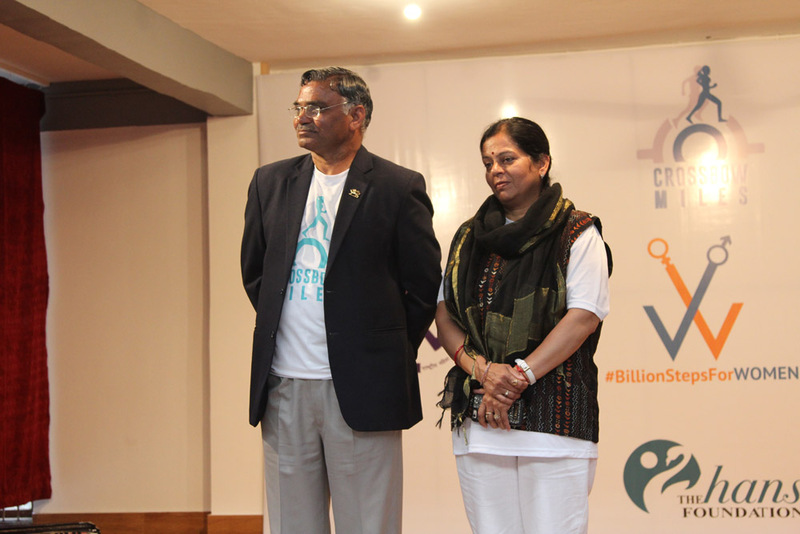 Other dignitaries were felicitated too. 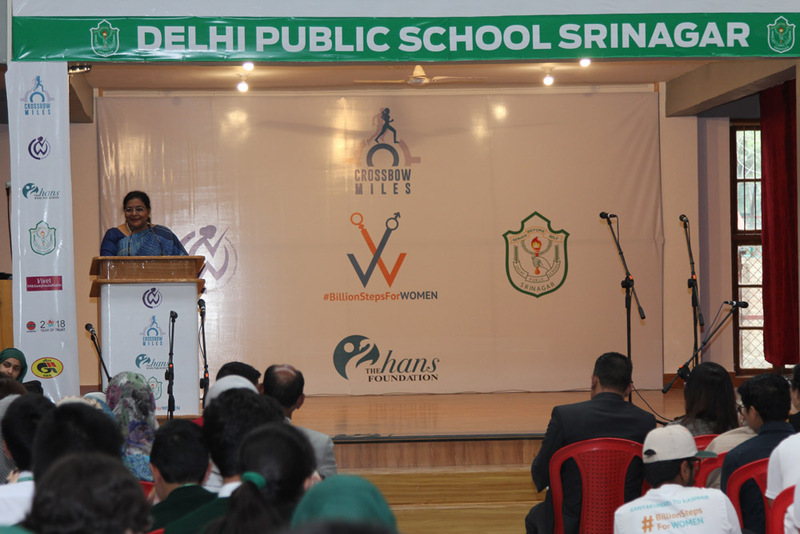 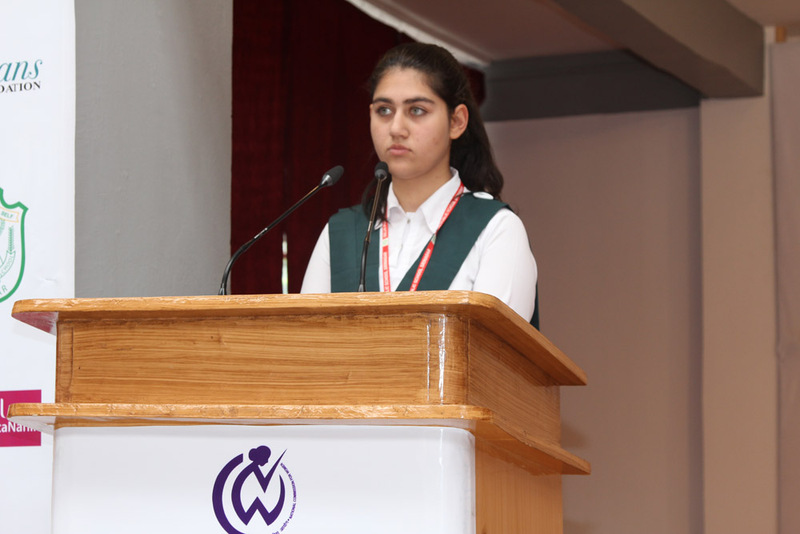 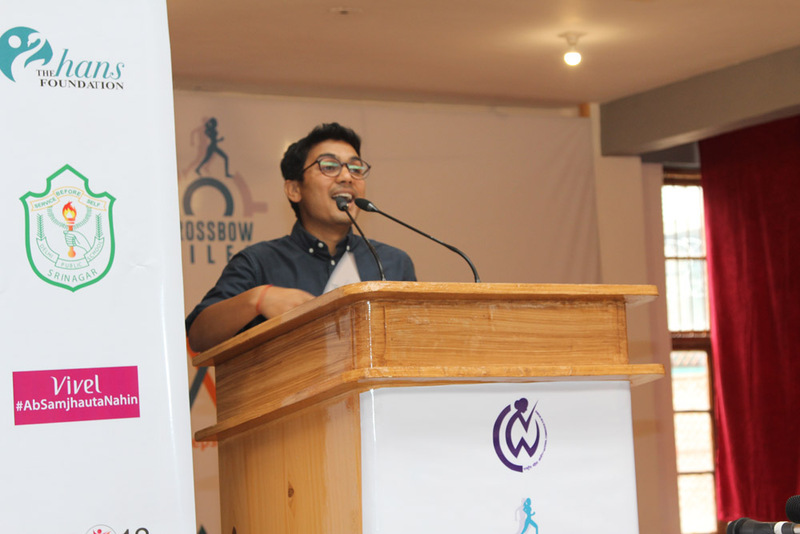 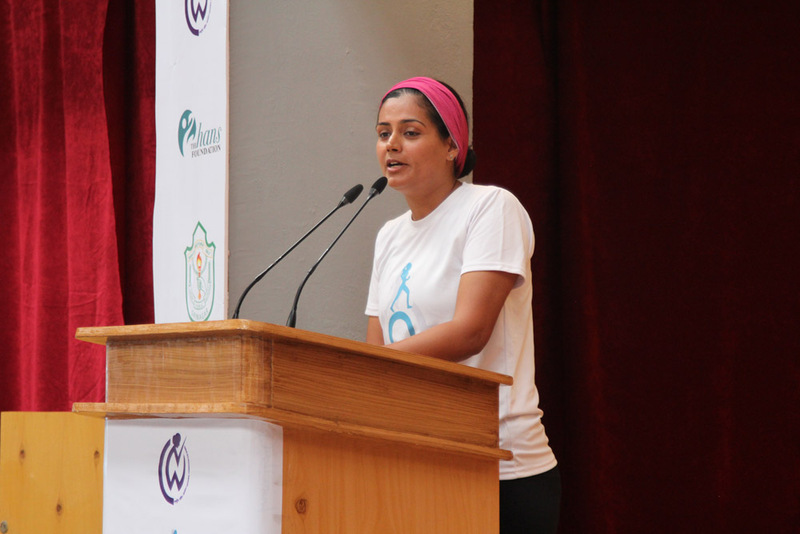 In her address to the students, Srishti said she had toiled hard to reach here and shared her experiences if how people on the way supported her in various ways. 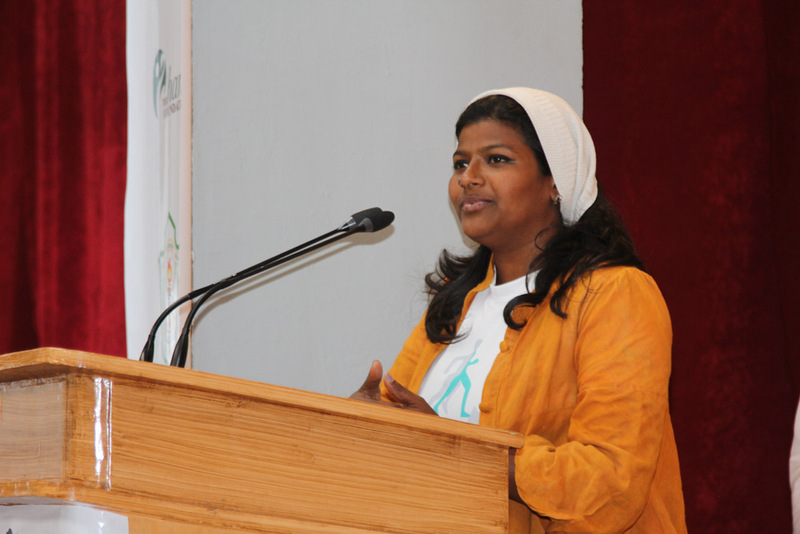 People from different walks of life expressed their gratitude to her and supported her in their small little ways.